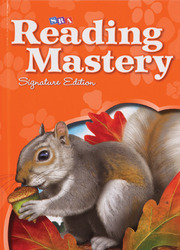 Siegfried Engelmann's 30+ years of research on teaching beginning reading resulted in the creation of the incredibly successful Direct Instruction teaching method, a cornerstone of SRA's Reading Mastery Plus program. He has produced an extensive list of books (including SRA's Direct Instruction reading, mathematics, and language arts programs), journal articles, and papers focusing on Direct Instruction. Currently, Mr. Engelmann is working on a new math program for SRA. He recently completed a book entitled Inferred Functions of Performance and Learning. He is also the co-author of Theory of Instruction with Douglas Carnine. Mr. Engelmann is a professor of special education at the University of Oregon and Director of the National Institute for Direct Instruction. He was awarded an honorary doctorate degree from Western Michigan University in 1984 for his contributions to the field of education and holds a degree in philosophy from the University of Illinois. His other awards include the 2002 Award for Education Research from the Council of Scientific Society Presidents and the Fred Keller Award from the American Psychological Association.